This action is set in the distant past of Morval Earth, the time of the great Lawic defeat at the villages of Talarth and Narneanor. 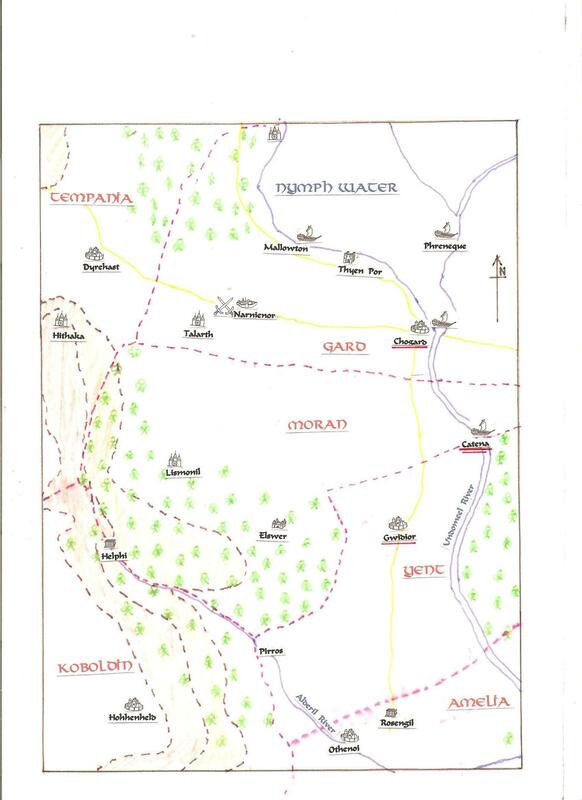 Most later times are dated from this three day battle, ATN meaning After Talarth Narneanor. The battle left the several Lawic countries of Loriador almost defenceless against the Chaotic hosts. To the South, the Elf Kingdoms stood for some years before being overwhelmed in their turn. In the Northeast thousands of widowed women fled to the Ran Hyparbor forest and eventually set up the Amazon Queendom of Thalia. However this action is set some way away just after the battle. As with most Morval Earth modules it is not expected that anyone will slavishly try to re-create it. We just hope that the accounts will be of interest and may assist wargamers to set up actions with similar storylines.